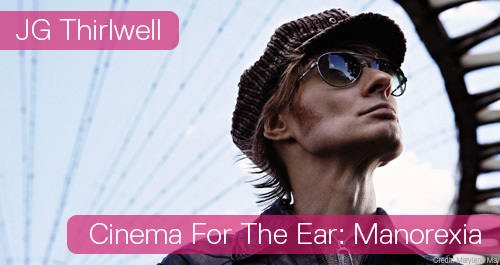 On July 11 2013 at 10pm, as part of the River To River Festival, ((audience)) presents JG Thirlwell’s Manorexia: Dinoflagellate Blooms at Tribeca Cinemas, 54 Varick St. This will be a rare opportunity to hear this classic album in the manner in which it was intended, in 5.1 surround sound in a darkened cinema. The composer will be present. Admission is free. To reserve a seat just RSVP at here. ((audience)) is a foundation established by Alexis Bhagat and Lauren Rosati in 2007, dedicated to the advancement of aural arts by providing wide distribution and new contexts for works by emerging and established sound artists and composers. ((audience)) explores the cinema as a 21st century concert hall.